It was boys’ night out for this fabulous dinner at Il Centro. 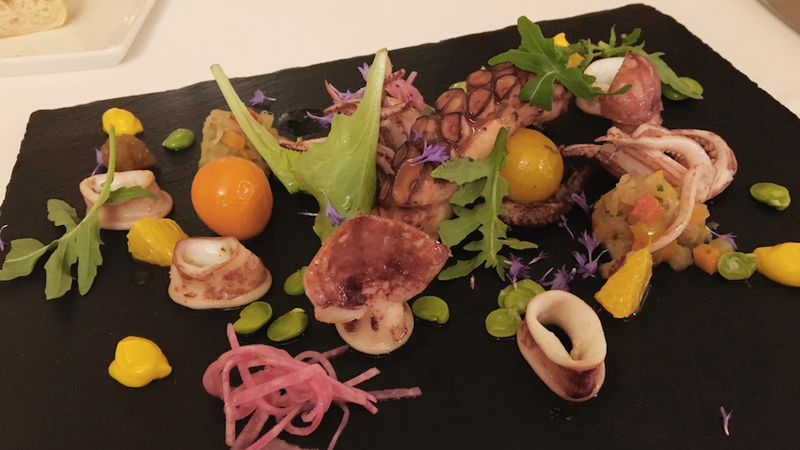 One of the things I like most about Il Centro is the menu that offers diners a good dose of the classics, along with more modern dishes that nevertheless remain rooted in tradition and a few whimsical choices that are a nice break from the tried and true standards. Il Centro is very much a family affair. Enrico Cordero is an affable, warm host. His wife, Elide, runs a kitchen that deftly manages to be both traditional and contemporary. Their son, Giampiero, looks after the extensive cellar with an unbridled enthusiasm that makes it a pleasure to pore over the list, even if on this night we brought most of the wines. 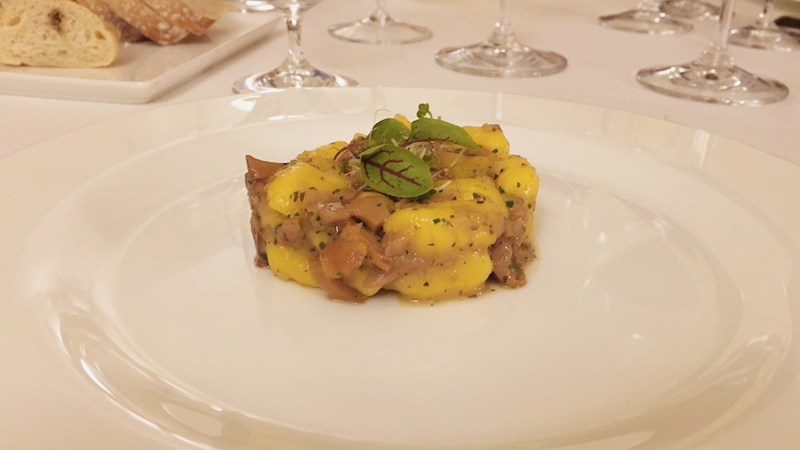 Il Centro is the perfect place to sample some of the super-classics that have all but disappeared from menus today, including eel, snails and finanziera (a sautée of sweetbreads and other leftover bits of meat) that is perhaps the most traditional of all Piedmontese dishes. On this warm, balmy summer evening, I opted for some of the lighter items on the menu. The carne cruda was simply divine. At its best, the Italian kitchen is all about letting the purity of ingredients take center stage. 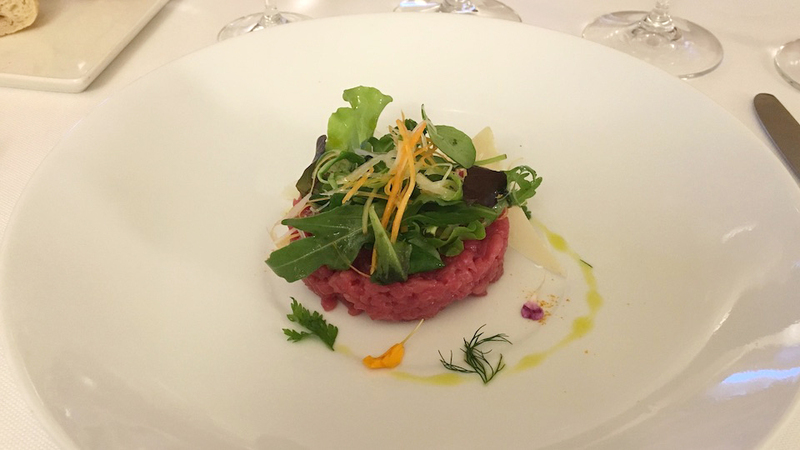 The raw beef is chopped by hand, with a sharp knife, to avoid heating, and therefore breaking down the meat, that would happen with an electric implement. The gnocchi with finferli, a rough Italian equivalent of chanterelles, were divine, light and perfect for a summer night. My octopus, squid and red mullet secondo was terrific. In particular, the octopus was unbelievably tender, with tons of flavor and more than enough texture to stand up to the wines. Everything on the plate was delicious. Sweets aren’t usually my thing, but cherries in season are impossible to resist. For readers who are happy with just a sweet morsel to finish off a meal, the petit fours served with coffee are more than enough. Our wines were mostly stellar. I adore Taittinger’s 2006 Comtes de Champagne, a wine that was transcendentally beautiful the first time I tasted it, several years before it was released. It has never failed to deliver the goods since then. What a great way to start dinner. Marchesi di Gresy’s 1978 Barbaresco Camp Gros is a bit past where I find pleasure in wine. There are no such issues with Bruno Giacosa’s 1978 Barolo Pugnane di Castiglione Falletto, which has all the inner sweetness and perfume that make Giacosa’s wines so intoxicatingly beautiful. The Pugnane is fully mature, but it has just enough freshness to make it compelling. There is no upside to be gained from further cellaring, however. Readers lucky enough to still be holding bottles should seriously consider drinking them soon. Rinaldi’s 2010 Barolo Tre Tine rounds things out in style. 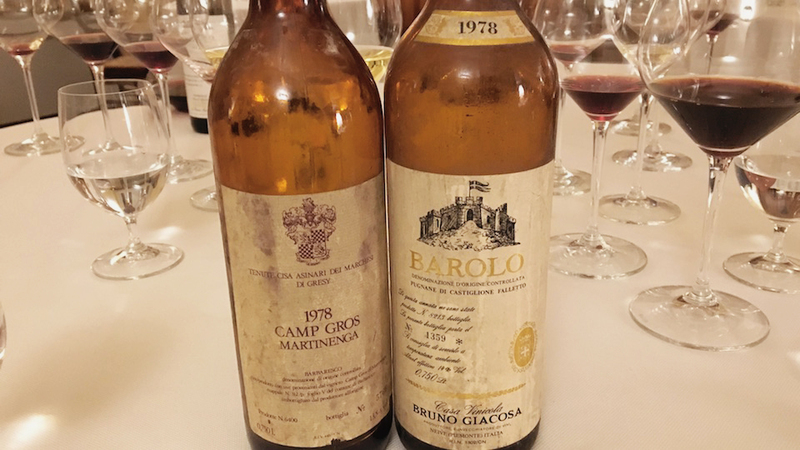 Perhaps the warm summer weather allowed the wine to be more expressive than it has been in the recent past—a phenomenon that often happens with young Barolo. And so the classic austerity that is such a signature of the 2010 Tre Tine is present, but also softened a bit, which makes for an unbelievably delicious bottle of wine. Ordinarily, I would not suggest drinking the 2010 young, but what can I say? Temptation got the better of me. Although most often associated with natural bounties of the fall truffle season, the Piedmontese kitchen has much to offer year-round. This was a fabulous night of great food, wine and conversation shared with two of my dearest friends.